Shake Shack Debuts Mobile Ordering in Mass. All your favorite burgers and custard cups, without the lines. By Alex Wilking·	 12/12/2016, 2:25 p.m.
Rejoice, Shake Shack lovers: It just got even easier to eat there. 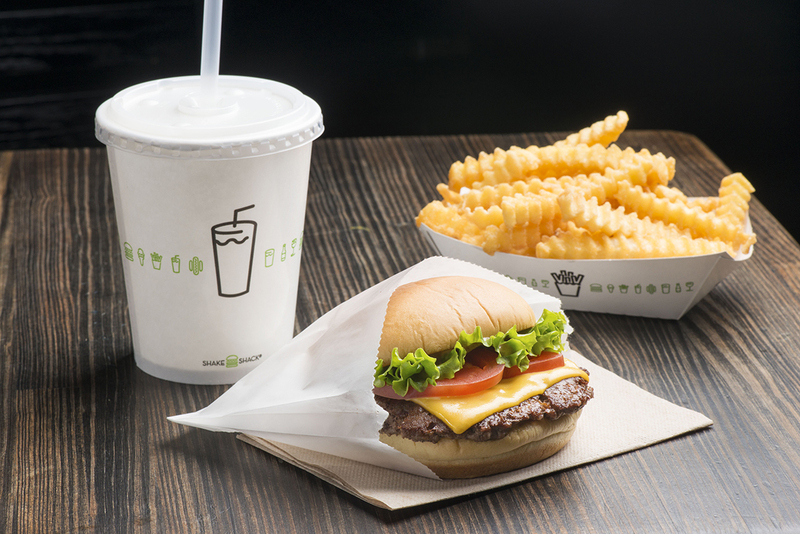 Beginning today, diners can order from any of Shake Shack’s five Massachusetts locations using the chain’s iOS app, effectively cutting the line at your favorite neighborhood burger joint. Participating storefronts include Chestnut Hill, Dedham, Harvard Square, Newbury Street, and Danny Meyer’s 100th Shake Shack in the Seaport. Here’s how it works: peruse the full Shake Shack menu and select your sandwiches, fries, and cups of custard, including this month’s holiday lineup with flavors like Brownie Batter Hot Chocolate, and Christmas Cookie. Pick a time to arrive—slots are sectioned off in 15-minute intervals—and send your order to the local shop of your choice. The restaurant will ping you when it’s ready. Aside from ordering food, customers can also view nutritional information, events, and local promotions. Users can also tune into a live stream of the original location in New York City’s Madison Square Park, in case you’re interested in checking that out. The app has been live in the App Store for some time, but it hasn’t reached the Boston area until now. An Android counterpart is currently in development, too, so non-Apple users are encouraged to sit tight. Shake Shack, 234 Newbury St., 617-933-5050, and other locations, shakeshack.com.